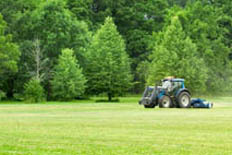 We are well established in the South-East as a totally reliable service for maintaining large grass areas and sports pitches. 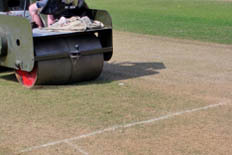 Regular maintenance of cricket, football and rugby pitches is a priority for us for weekly sports usage, and we cover large areas of Sussex with our equipment. We can advise on making the most of your pitches, supplying maintenance schedules to ensure grass is ready for maximum usage. Maintaining public open spaces in towns, villages and residential areas is another speciality, extending to quality grass cutting, hedge & shrub maintenance, borders and ornamentals, on a regular basis and with environmental awareness. We can advise on the best course of action for care of your pitches, and environmentally sound practices. 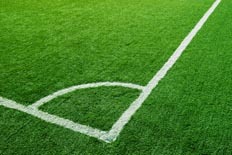 During the season for each sport some maintenance and repair will be required to enhance the performance of the pitch, both grass and artificial surfaces. 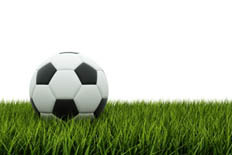 For grass pitches, after the playing season, further more extensive refurbishment is advisable, to bring back the quality to high wear areas, by for example top-dressing, and overseeding, and to address root zone issues. We have all the equipment required to carry out this range of requirements efficiently and effectively. We are also experienced in the design and construction of drainage schemes for sports pitches and other grass areas. 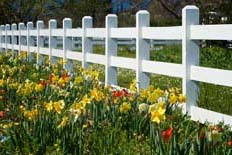 We have vast experience extending over 7 decades on supplying and erecting all types of fencing and gates. Using locally sourced products, such as Post & Rail, and Chestnut based fencing, is a good choice for environmental sustainability. 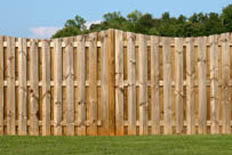 We can also supply wooden panel fencing, picket fencing, stock fencing, post and wire, etc. Security fencing and gates has become a priority to many now, and we can accomplish your requirements in many styles which can be fabricated for your site. Electric gates and entry systems can be added to complete the package.